Continuing our ‘Names of God’ study, we take pause in Genesis 16. Giving a brief summary: Sarai & Abram have been promised a son, an heir in their old age. Sarai’s impatience motivates an assuming creative alternative – MAKE it happen – by giving one of her maidservants (Hagar*) to Abe (as was the custom of the day) so they can create a child with the family name. Like all ‘let me do it myself’ plans – it didn’t go so well. Hagar becomes pregnant, Sarai & Hagar get all ‘girl-fight’ on the issue, Sarai was rather harsh and Hagar runs off. There in the desert, Hagar is alone and upset… yet … she is found – by God. The Angel of the Lord calls her by name, “Hagar, servant of Sarai…” May we not miss the importance of this; Hagar was a slave, a servant, a title that considered her the property of another – BUT the title does not outweigh God-knew-her-name! We may be the wife of… the mother of … the employee of… the friend of… BUT God knows our name. The Angel of the Lord speaks directly to her situation, (in short) the discussion leads to promises, promises that Hagar will see her son (Ishmael*) grow to be a nation. She once the run-off-slave now the heir of promises. 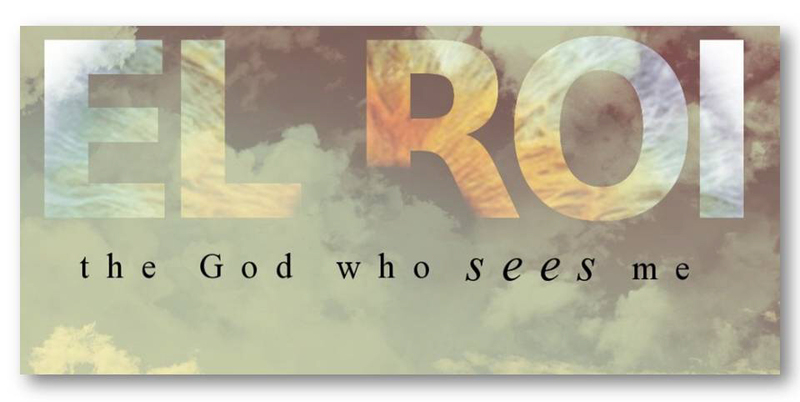 Hagar ends the encounter by naming the Lord, ‘El Roi’ (EL-row-EE) the “God Who sees” – Hagar, the only person in the Bible to give a name to God. 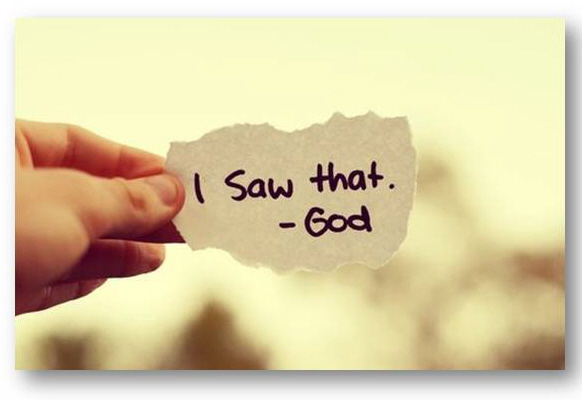 * The “God Who sees” – in the midst of rejection, anger, aloneness, hurt and yes, even a dysfunctional family – God sees! El Roi, the God Who sees me and sees …YOU! *Hagar, the Egyptian servant (Gen. 16:1) – how did she join this Hebrew caravan? Remember when Abe took the family on a detour down to Egypt due to famine in the land, with the whole ‘Sarai is my sister’ facade. Well, before Pharaoh found out the truth and kicked Abe and all out of Egypt, he gifted Abe with “sheep and cattle, male and female donkeys, menservants and maidservants (Hagar) and camels.” (Genesis 12:16, emphasis mine) Note to self: DO NOT TAKE DETOURS; you never know what attachments might mess with your life and MANY others! *Ishmael: Fascinating, when the Angel tells Hagar about her son there in the desert, he explains that Ishmael will be a donkey of a man, (nice warm fuzzies) his hand will be against everyone, and everyone against him, then at the very end of verse 12 (Gen. 16) ‘and he will live in hostility toward all his brothers.” Now skip to Genesis 25, it speaks of the descendants of Ishmael and “they lived in hostility toward all their brothers.” (v18) The ‘he’ turned into a ‘they.’ Also, interesting side note: Jumping WAY ahead: Josephs brothers and their jealous outburst of selling him off – look who they hand him off to, “So when the Midianite merchants came by, his brothers pulled Joseph up out of the cistern and sold him for twenty shekels of silver to the Ishmaelites, who took him to Egypt.” (Gen. 37:28) WOW. It was Abraham’s ‘other’ sons descendants who transported his great-grandson Joseph (of the true heir bloodline ‘Isaac’) into Egypt and we know what happens in Egypt. *People gave names to places & altars on behalf of God’s actions, indicating a quality of God (I.e. Abraham called the place ‘The Lord Will Provide’ – Jehovah Jireh – Gen. 22:14 and Moses built an altar and called it ‘The Lord is my banner’ – Jehovah Nissi – Ex. 17:15-16). God refers to Himself as ‘God Almighty’ – El Shaddai – Gen.17:1 and through Jeremiah God speaks of the coming Messiah, King as ‘Jehovah our Righteousness’ – Yahweh Tsidqenu – Jeremiah 23:6. And at Moses’ request for God’s name, God responds, “I AM THAT I AM” (in short) ‘Yahweh’ – Ex. 3:14.